It is a scary thing for homeowners when they discover that their houses have been invaded by termites. After all, termites can literally eat you out of house and home. When you find out that your house has termites, it is crucial to act fast to limit the damage they do as much as possible. The best thing to do is to turn to our professional termite control service when you have termites. Our pest control technicians are experts at eradicating termites in a hurry. 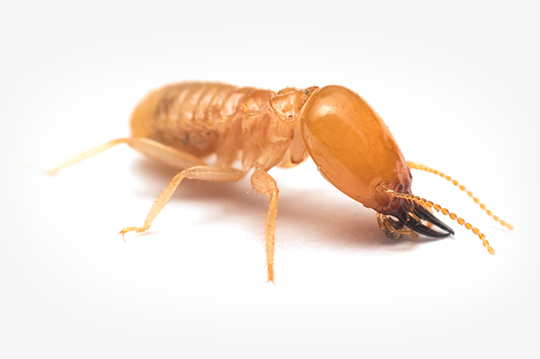 We have years of experience in termite control. When you turn to us, you can count on our excellent pest control techs to completely remove the termite infestation and prevent them from coming back. If you do not address a termite infestation quickly, they can do a lot of damage by eating through the wood in your house. When you are dealing with a pest control issue as serious as a termite infestation, it is critical that you turn to professionals to get rid of them. Our professional technicians have spent years dealing with termite problems in residential and commercial settings. No matter what kind of termite problem you have, you can count on us. We handle termite infestations both large and small. You can depend on us to quickly and completely get rid of the termites in your home or business. When you contact us to deal with a termite problem, we will dispatch a professional technician to deal with the problem as soon as possible. The first thing the pest control tech will do is to thoroughly inspect your property. This inspection allows us to develop the best plan of attack to completely eradicate the termite infestation. The inspection will find the entrance points the termites are using, allowing us to prevent them from coming back inside these entrance points in the future. The inspector will draw a graph of your property and give you a quote for treatment. After this thorough inspection, a group of two to four pest control technicians will treat your home to completely kill off the offending termites. The way we get rid of termites is by first digging a trench around your property. From this trench, we will drill down into the slab foundation and apply our top-notch liquid termite control, Termidor termiticide. 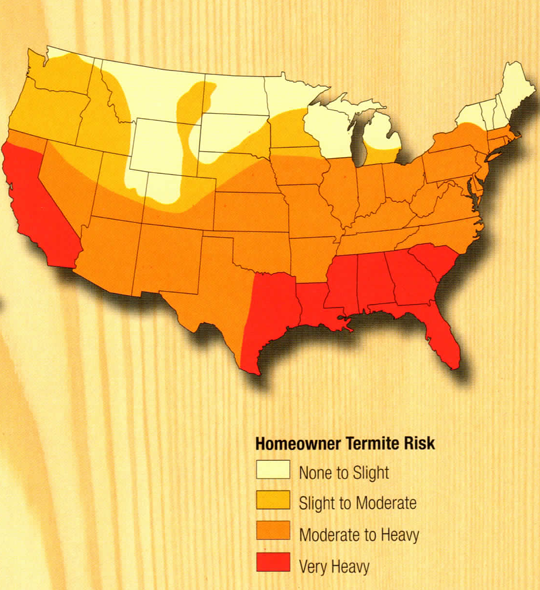 Termidor 80wg is the best product on the market for killing termites. You can depend on this termiticide to do the job right the first time so that we do not have to come back and treat your home a second time. One of the reasons that people turn to us for termite control is that we guarantee our work. Our termite control guarantee includes an annual inspection after we have eradicated the termites from your property. This annual inspection is like an insurance policy. The inspection means that you will never have to worry about the termites coming back. If they do come back, the inspection means our pest control techs will find the termites and kill them before they can damage your home. If you have termites on your property, get a hold of us right away. Our termite control exerts will get rid of the termites and keep them from coming back. Contact us today if you need to get rid of termites. One king and one queen termite reside at the colony's center. The queen can live upwards of thirty years, and her only purpose is to produce the next generation of termites. Queen termites lay thousands of eggs each year, which hatch into termite nymphs. While nymphs, termites begin to diverge into their adult castes, which include soldiers, workers, reproductive adults, and supplementary reproductive adults. When termites are seen infesting wood, workers are the likely culprits. Workers are blind and wingless, and their job is to care for, build, and repair the colony, as well as forage for food. With the sole purpose of defending the colony, soldier termites are blind, wingless, and sterile. Also known as Swarmers, these termites will eventually leave the colony. After swarming occurs, these males and females pair together and shed their wings. Each pair then attempts to establish a new colony. If a king or queen should die, supplementary reproductives are prepared to take their place. They also help increase the population of established colonies.